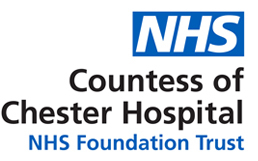 Inclusive Companies are thrilled to be partnering with The Countess of Chester Hospital NHS Foundation Trust to deliver a dynamic and insightful event titled ‘Closing the diversity gap across the public sector’. We would like to formally invite you to attend this exclusive, invitation only occasion. The Countess of Chester Hospital NHS Foundation Trust ranked 24th on this years Inclusive Top 50 UK Employers List and have pledged their commitment to the diversity agenda once again by partnering with Inclusive Companies to lead in the campaign for pioneering change and moving closer to creating a more inclusive society. This event, tailored specifically to the public sector, will feature a powerful line up of keynote speakers and panelists, with attendees being provided with the opportunity to hear from the highest ranking public sector organisation on the IT50 List. Learn how West Midlands Fire Service jumped 26 places to become the UK’s 02nd most inclusive employer, take away practical solutions, engage in a Q&A session and network with some of the industry’s leading specialists as we explore ways to close the diversity gap across the public sector. We are delighted to offer our clients, partners and associates the opportunity to be a part of this occasion, inviting you to join the conversation. A complete itinerary will be sent directly to yourself prior to the event. Limited spaces are available on a first come, first served basis only.